Do you know what actually are the falling stars? In this article you will come to know the answer of the question, do you know what actually are the falling stars. Q. Do you know what actually are the falling stars? Ans. We often see a radiant streak of light in the night sky and call it a falling star. But in reality the ‘falling star’ has nothing to do with a star at all. 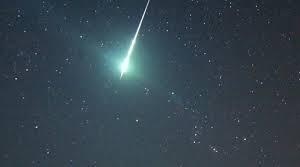 A falling star is actually a lump of extraterrestrial rock or dust particles called meteoroid. This meteoroid gets pulled into the Earth's atmosphere by gravity. As it falls through the atmosphere, it gets heated up by the air friction and starts burning. Previous Article Do you know which is the world’s lowest density (lightest) solid? Next Article Why do some people snore?